My latest for Etsy is up, wherein I cook an entire chicken in the microwave. Above, another recipe from The Microwave Cookbook by Pat Jester, Pizza Egg Cups. Cheese, tomato sauce, salami, and a woefully under-cooked egg; it was kind of like Portuguese eggs, but with salami, and in the microwave. Read about my adventures in microwave cooking here. A cheesecake recipe for a 19th century Photographer. College was one of the most difficult and demanding times of my life. I looked for small ways to escape the pressure, like ducking into Attenson’s Antiques on Coventry, a maze of rooms stuffed with treasures. In the back corner was a bookshelf used as a dumping ground for an ever-growing collection of photographs. Box after box, picked up at estate sales, ended up in this nook. If the day was quiet enough, the shop owners would let me spread out on the floor to go through the black and white lives of people long dead. After an hour or two, I’d have a pile of images set aside. I’d pay ten or twenty dollars, and take my new friends home. An albumen print of General Tom Thumb and his wife, Lavinia. If you’ve ever spent time sorting through thrift store images, you’ve certainly come across a type of photography known as albumen printing. Albumen photographs are characterized by their sepia tone, glossy sheen, and sometimes a metallic shine in the dark parts of the image. They’re also printed on a thin piece of paper glued to a thicker cardboard stock. Albumen is made of egg whites. This sticky substance allowed photographer to adhere photo chemicals to glass plates, allowing for the first commercially viable form of reproducible photography. Additionally, when painted on paper, albumen created an ultra smooth surface on which to float photosensitive chemicals; the result was a highly detailed image when the photo was printed. The process was revolutionary and used for much of the second half of the 19th century, and even into the 20th. 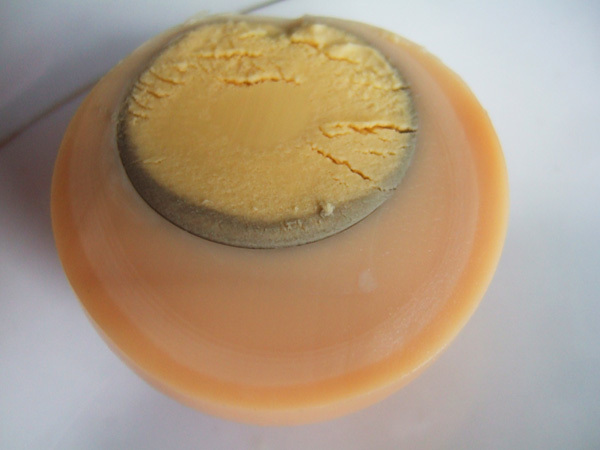 However, producing albumen paper used a lot of eggs whites and left a byproduct of a ton of egg yolks. Some of those yolks could have been used in this recipe for “Photographer’s Cheesecake” published in The Wilder Shores of Gastronomy: Twenty Years of Food Writing . In 1861, The British Journal of Photography suggested, to the amateur photographer, that he could use his excess egg yolks to make a cheese cake. One day, after making a meringue, I had a lot of yolks on my hands and decided to give it a try. It required very few ingredients and took less than ten minutes to assemble. Problems started to arise when I baked it: the filling was still liquid although I had baked it longer than the recipe suggested. When I put it in the fridge overnight, it was solid, but liquefied at room temperature. I still ate it, though. To convert the yolks of eggs used for albumenizing to useful purposes: Dissolve a quarter of a pound of butter in a basin placed on the hob, stir in a quarter of a pound of pounded sugar, and beat well together; then add the yolks of three eggs that have been previously well-beaten; beat up altogether thoroughly; throw in half a grated nutmeg and a pinch of salt; stir, and lastly add the juice of two fine-flavoured lemons, and the rind of one lemon that has been peeled very thin; beat all up together thoroughly and pour into a dish lined with puff-paste, and bake for about twenty minutes. This is a most delicious dish. Beat (using an electric mixer, if you like) butter and sugar until light and fluffy. Add egg yolks, one at a time, mixing after each addition. Add nutmeg and salt; mix. Add lemon juice and zest; mix. Pour into a baking dish lined with puff paste, bake at 350 degrees for 35 minutes. Honestly, it tasted great! I loved the citrus, which complemented the nutmeg well. At the same time, the technical aspects of the recipe didn’t work. It was goopy and runny and not at all right–and I don’t think it was my mistake. perhaps this recipe was originally published as a joke, not as a real recipe? Which seems silly, because what on earth did those photographers do with all those egg yolks anyway? Dim Sum at the Nom Wah Tea Parlor. In the midst of Hurricane Sandy, it’s been hard to have anything else on my mind. I was stranded in Cleveland for the storm itself and only made it back to Queens for the aftermath. My neighborhood and my apartment are fine, but many people I love and neighborhoods I know are not. Friends had water in their building lobbies up to their waists; others sat in the dark apartments while they could hear Ground Zero filling up with water. Buildings shook, tress came down, subways became underground oceans–it could have all been much worse, but we were hit hard. Particularly the Lower East Side, a neighborhood that’s like my second home. In addition to the flooding and downed trees, residents of Lower Manhattan have been without power for nearly a week. After going out in the midst of the hurricane Monday night, the streets were dark until just last night, when the lights finally came back on. Life has been on hold for a week, and it’s finally starting back up again. In celebration, I’ve decided to write about one of my favorite restaurants on the Lower East Side: The Nom Wah Tea Parlour. Now Wah is the oldest restaurant in Chinatown, founded in 1920 It’s on Doyers street, on Chinatown’s south border, bumped up next to New York’s courthouse and government district, and a stones throw away from the old Five Points neighborhood. Walking up to the mouth of the street, it doesn’t look at place in the City. It’s not a part of the neat and orderly grid laid out in 1811; it predates it. It’s a single lane, that climbs a small hill; a short street, only a block, that bends at a wonky curve in the middle. That bend used to be called the “Bloody Angle;” this area wasn’t such a nice place in the early 20th century. The entire effect is not unlike an Escher painting. It’s so old New York, that an inside source told me the sewer system isn’t even part of the city sewers–they’ve got their own, pre-government, antiquated sewage system. Right at the crook in the street is Nom Wah; it’s only had three owners in its long history. The most recent owner, Wilson Tang, is young and hip; he took it over from his uncle and is dedicated himself to keeping tradition alive, as well as helping the business grow. The interior has remained largely unchanged since the 1950s, and the cash register counter has been there since the beginning. The menu offers more than 50 different types of dim sum. I visited with my mother and an old friend from high school, and they put me in charge of ordering. I did well in terms of the types food I choose, but poor in terms of quantity. The menu in unclear how many of each item comes in one “order,” so by ordering three servings of everything, I ordered enough food for a small army. Oops. Be sure to ask your server for help in this regard. In terms of what to eat, get the pork bun. It was our favorite–a sweet, yeasty steamed bun filled with savory, saucy pork. 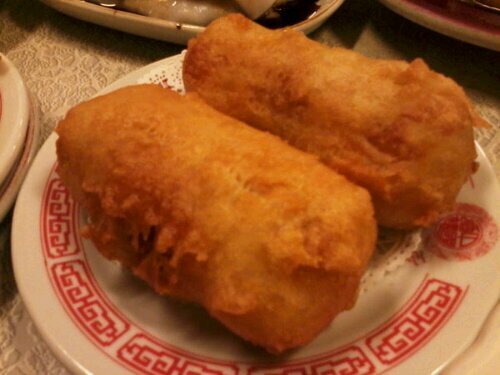 A close second was the egg roll, which Nom Wah claims to have invented, and is the delicious grandfather to a modern fast food roll. An egg crepe is stuffed with chicken and vegetables, and then rolled and fried, resulting in a particularly crisp, richly satisfying egg roll. If you live in New York, the businesses here will need you. In areas that have been without power, they have lost a week’s worth of income, and their employees a week’s worth of work. Post power outage, Nom Wah has opened its doors again. 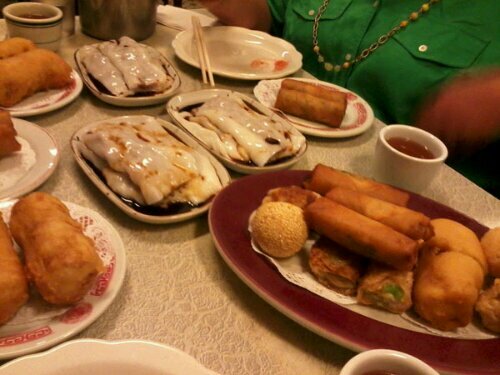 So grab a group of friends, and get some dim sum. It’s cheap, it’s warm, it’s comforting–and it’s the perfect back drop to share our stories, and our bitching, about the last week. A witch’s broom re-purposed as a whisk. I’ve launched a new collaboration with Etsy this week: I’ll be blogging twice a month about making, doing and consuming in the kitchen. Look forward to history and adventures, all based on the treasures you can find on Etsy. My first post was a whisk history–a humble kitchen tool that has changed design over the centuries, striving to make a laborious task, like beating eggs, simple and succinct. 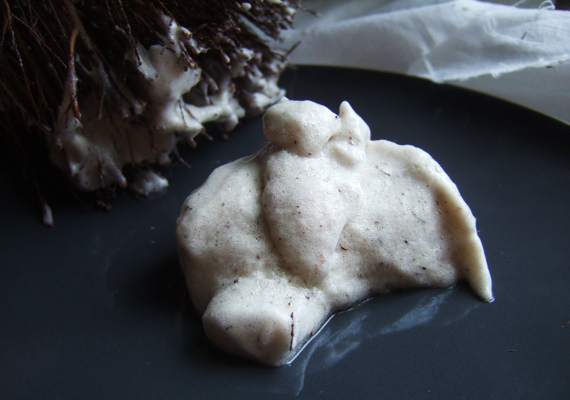 Read The Magic Whisk here here to follow me whisking up meringue by hand. A birch whisk from Deborah Peterson’s Pantry. But before wire whisks were introduced in the 19th century, cooks made whisks from bundles of sticks. You can still buy modern whisks made with birch twigs, but they are fairly expensive: $20-$30. I was really curious to try one out, and test it against a modern whisk, but I had difficulty convincing myself to drop three tensies on sticks. Reading this, you probably think I’m nuts: “Go outside, get some sticks!” you’re thinking. Well, I live in New York and things aren’t so simple. In my neighborhood, I can get food from 30 different nationalities; But sticks we don’t got. Recently, I had a chance to handle one of these birch whisks in person. I carefully turned it over in my hands, committing to memory the length and the weight of it, the texture and the stiffness of the straw-like twigs. Then I went to my local craft store to see if I could find something to replicate it. 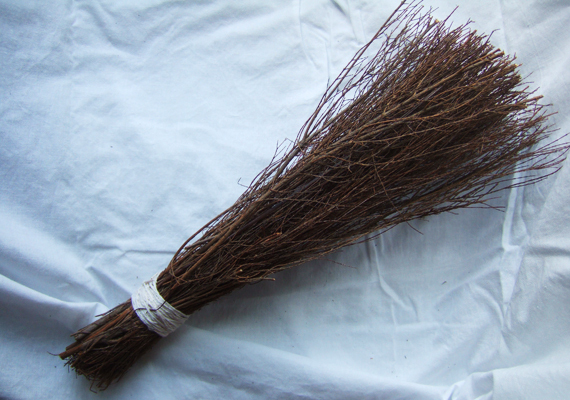 I noticed the store already had its “seasonal items” out and immediately thought “witch’s broom!” I scored one for $6. To make my reproduction whisk, I sliced off the tape that held bushy twigs them to the broom handle, rebundled them with kitchen twine, and trimmed the ends to an even length. It looked almost exactly like the authentic $30 whisk, and seemed to be a pretty good recreation of a pre-industrial whisk. It was time to try out my pre-industrial whisk. I separated an egg, and set aside the yolk. I let the white warm to room temperature in a deep mixing bowl, and then I grabbed my twig whisk and went to town. It took a surprisingly short amount of time to make a stiff meringue–ten minutes, twelve seconds–although my biceps ached after half a minute. The twig whisk had a huge downside: as I whipped the eggs, hundreds of shards of whisk broke off into my meringue. Big sticks and tiny twigs peppered the egg froth. It’s possible that after you use the twig whisk several times, it would stop shedding its bits and pieces. But the first time through, it produced a voluminous, but woody, meringue. A twig whisk and the woody meringue it produced. I tested four more whisks and pitted them against my modern mixer; to see the results, head over to Etsy. Cooked at a long time for a low temperature, egg whites will turn brown! 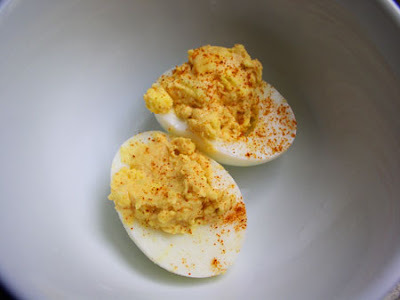 We’ve all cooked a hard-boiled egg: simmer an egg eight to twelve minutes and you’re half way to an egg salad sandwich. But what happens if you cook an egg for eight to twelve HOURS. It’s possible and the results are spectacular. I came across the concept of “long-cooked eggs” while doing research on Sephardic cuisine for the Lower East Side Tenement Museum as part of a program called “Meet Victoria. ” In this program, visitors get a chance to interact with a costumed interpreter playing the role of a 14-year-old immigrant who lived on the Lower East Side in 1916. Victoria, the girl in question, is Sephardic Jewish: sephard meaning “of Spain,” which is where Victoria’s ancestors lived until the Spanish Inquisition of 1492. After leaving Spain, Sephardic Jews settled all around the Mediterranean, but much of the population ended up in Turkey. 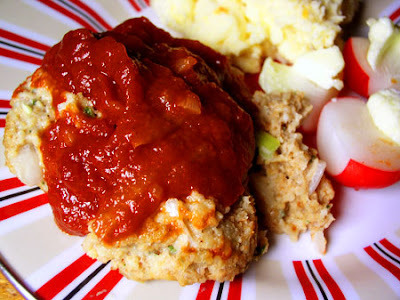 When it comes to Jewish food, one of the aspects I find most interesting is Sabbath cooking. One of the prohibitions on the Sabbath, the holy day of Saturday, is lighting any kind of flame (there are 38 others). That makes providing a hot meal on Saturday a rather difficult thing, particularly in the 19th century. But there were some clever loopholes: a fire lit on Friday, before the start of the Sabbath at sundown, could be allowed to burn until the next day. As a result, Jewish cultures developed a slow-cooked stew that could sit on the stove overnight: cholent for Ashkenazic Jews and hamin for Sephardim. (side note: baked beans, which traditionally cook overnight, were developed for the same purpose in American Christian culture, to save work on Sundays). Sephardic Jews also developed another snack for Saturday: huevos haminados. During prolonged heating in alkaline conditions, the quarter-gram of glucose sugar in the white reacts with albumen protein to generate flavors and pigments typical of browned foods (see the explanation of the Maillard reaction). The white will be very tender and the yolk creamy if the cooking temperature is kept in a very narrow range, between 160 and 165ºF/71–74ºC. Scienceey. I didn’t have the capabilities, or frankly the patience, to test this recipe as throughly as McGee did. But I was curious what would happen if I dumped a half-dozen eggs into my slow cooker. Gently places six eggs into a slow cooker. Cover with water. Set cooker on “low” for seven hours. When seven hours is over, remove eggs from water with a slotted spoon. Run cold water over them until they are cool enough to handle; I like to use a colander for this job. Crack, peel, and serve warm. McGee tested the eggs at several temperatures and with different additives in the water. He found that the whites of the eggs always turned a brownish color, whether or not they were cooked in plain water, or in water with other additives. 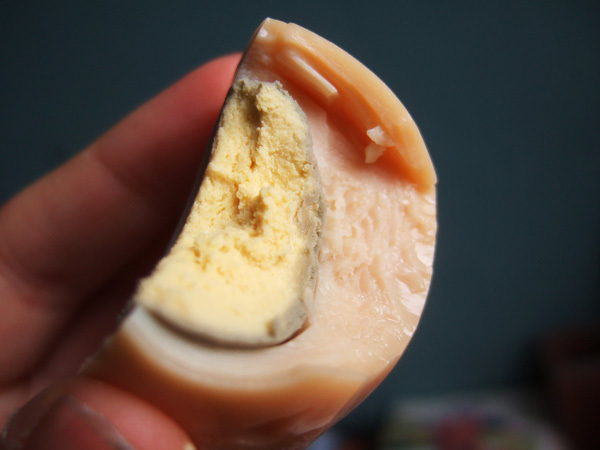 The egg proteins develop a nutty flavor and the egg itself because creamy. Coffee and olive oil penetrate the egg-shell during cooking and increase the nutty flavor of the egg and also dye the outer shell, while onion peels only dye the shell but don not affect the flavor. The moment I cracked my slow-cooked eggs, my mind was blown. The whites had turned a distinctly brown color. My reaction may have been our of proportion with the event (I think I kept screaming at my roommate “It’s brown! It’s brown! It really worked!) but it really seemed like a magic trick of nature. I had made magic. I took a bite: meat. The egg tasted like a pot roast. Closer to the yolk, I encountered the distinct, nutty flavor I had read about in McGee’s article. Like hazelnuts and walnuts. My egg didn’t have a creamy texture, but I suspect they were a tad overcooked. Brown. Meat. Egg. Who would have expected that? 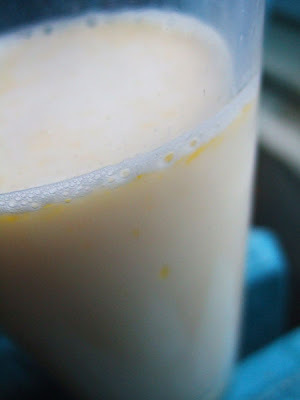 My Festivus party was last weekend and I decided to try an 1940s recipe for “Alabama Eggnog.” It comes from The Food of a Younger Land, edited by Mark Kurlansky. It’s a collection of essays written by the WPA’s Federal Writer’s Project that were compiled with the intention of creating a compendium of regional American foods. It was to be titled “America Eats,” but with the bombing of Pearl Harbor, and the start of WWII, the project was never completed. It was still being made at lavish parties in the Depression era, despite the fact that prohibition was enforced in parts of Alabama. Take a dozen eggs, and beat the yellows and the whites separately, both very light. Put half the sugar in the whites, and half in the yellows. 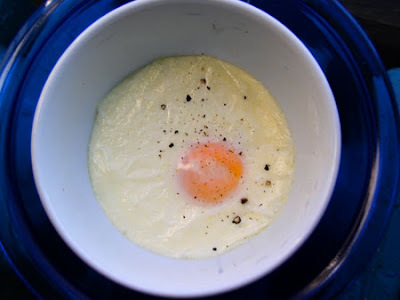 When the yellows are beaten together very light, add the whiskey, two tablespoonfuls to an egg. The fold in the beaten whites, and at last fold in one pint whipped cream, adding more whiskey to taste. This proportion can be used to make any amount of egg nog. Separate egg whites and yolks into two separate bowls; add half the sugar to each bowl. With an electric mixer, beat egg whites until stiff peaks form; add to a large punch bowl. Next, beat egg yolks until very light in color. Fold together egg whites and yolks. Add whiskey. Whip cream until soft peaks form, fold into egg mixture. Serve with a sprinkle of fresh grated nutmeg. At my party, an excited crowd gathered as I mixed the nog. I tasted the frothy egg mixture after added the recommended amount of whiskey…and then proceeded to double it, adding more whiskey 1/2 cup at a time, tasting after each addition. I ended up adding a full three cups of whiskey before it tasted just right. But drinking it wasn’t a problem; despite its fluff, it was easy to serve and drink. It was like drinking marshmallow booze. “Eggnog! Eggnog is the best!” cheered Roommate Jeff. The Alabama eggnog was drunk up long before the party’s end. I’ve often been asked where I get the ideas for the recipes I cook. It goes a little like this: throughout the course of my day, thought bubbles appear with a pop above my head. They waft through the air, trailing behind me, gently enfolding images of food I would like to devour: whole roasted pigs; booze flavored jell-o; fatty dairy products. Recently, I’ve been dreaming of egg nog. My roommate whipped up a batch based on this recipe, from the NPR article “More Evidence that Egg Nog Goes Better with Booze.” It’s made with raw eggs and an entire bottle of rum. The Nog has to sit around and mellow for a month in the refrigerator. 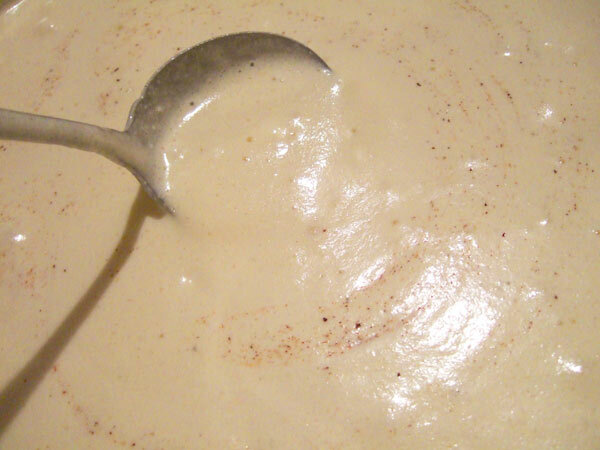 There’s a cute video about it here, where scientists test the Nog for signs of salmonella. 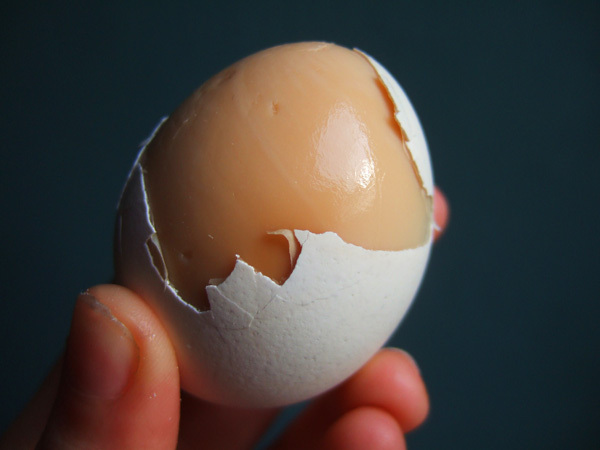 Preliminary tests indicate that the alcohol kills any bacteria present in the eggs. It’s hardly surprising–the nog is so boozey it tastes like creamy astringent. The Egg Nogg chapter of his book offers a variety of recipes for egg nogg as we know it, in punch form. But the very first recipe is for what I would call an egg nogg cocktail: a single serving drink of eggs shaken up with milk and alcohol. Perhaps this is the way egg nogg was first served, well before it filled holiday punch bowls. 2. Dissolve sugar in the water in a bar glass; add egg and beat slightly. Add milk and alcohol. 3.Cover and shake (or add to cobbler shaker) until all ingredients are thoroughly amalgamated. 2. Strain into a pint glass and garnish with grated nutmeg. I am drinking this right now, and I love it. It’s not as heavy as a cream-based egg nog, but it is still satisfying my nog cravings. And the best part–it’s a single serving! So I can enjoy it anytime without having to mix up large batch. I also suspect this recipe would be good with bourbon instead of brandy. Either way, I highly recommend it. It’s just delicious. If you need some training for your cocktail shake, I recommend the Hard Shake. And if you’re interested in more holiday cocktails with egg, try LeNell’s Mae West Royal Diamond Fizz. And now that I’ve reached the end of this post…I’m a little tipsy. Congratulations, me. Breakfast: Potato Cakes, Banana, Whole Wheat Gem. For this recipe, you are just supposed to form mashed potatoes into patties and fry them in butter. I used left over mashed sweet potatoes from the night before. They didn’t turn out very well, I think my potatoes were not firm enough to make a satisfactory cake. They came out like regular mashed potatoes, with some burned parts. This recipe is pretty straight forward; I added some fresh cracked pepper. I also used the whole egg–why let it go to waste? It was an enjoyable lunch, the lemon juice lended a nice, fresh flavor to the eggs. It’s been awhile since I’ve had and egg salad sandwich. I wanted to attempt Rice a la Caroline because it is mentioned frequently in the book, The Road to Wellville, so I can only assume it was a San favorite. It’s a layered dish, and one of the layers is supposed to be a layer of Protose. But, considering my experiences with homemade Protose, I decided to do what a housewife a 100 years ago would do: I went to the store and picked up a manufactured meat substitute. I don’t spend much time in the faux-meat department, so I shopped around a bit, looking for something that had ingredients and a flavour profile similar to Protose. Many modern vegetarian meats are made with similar ingredients: soy, wheat gluten, nuts. On a package of “chicken” tenders contained “ancient grains.” oooo. In the end, I settled on a baggie called Smart BBQ, with shredded vegetable protein in a BBQ sauce. The chile sauce I made the other day was similar to a BBQ, and I thought the shredded veggie protein would be easy to spread. I cut the potatoes into thin slices, like scalloped potatoes, and pre-cooked them for 2 minutes on high in the microwave. I added the onions, butter, and I was out of sage so I used l’herbs du provence. I then spread the layer of Smart BBQ. 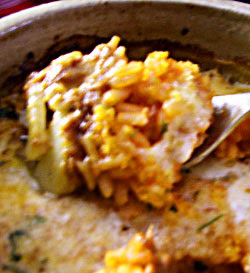 The rice I cooked in the microwave, and mixed with about a tablespoon of tomato paste. I didn’t have hard boiled eggs, I ate the last of them for lunch, so instead I sprinkled the surface with breadcrumbs. I topped to whole thing off with a drizzle of heavy cream, and baked it at 475 for 15 minutes. This really didn’t taste bad–I ate the whole thing. The top got very creamy, almost cheese like, and the potato-onion bottom layer was especially good. I also liked that it was an individual portion as opposed to a casserole. It seemed daintier, more refined, and it didn’t look like someone puked on my plate. This is a serious contender for the main course of my dinner party, but I also have high hopes for the Corn Roast I’m cooking Friday. 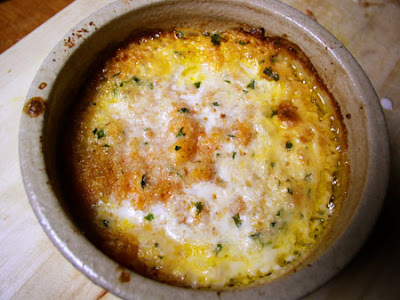 Eggs Baked in Cream, I love thee. Breakfast: Egg Baked in Cream, Whole Wheat Gem, and an Orange. Child recommends cooking them 7-10 minutes at 375 degrees. I left my eggs in a little long and they got over cooked (the yolk was not as runny as I would have liked) but still tasted AWESOME. When it came out of the oven, I garnished it with more salt and some fresh cracked pepper. The cream and the egg white melded together, and become something that transcended a mere egg to taste like the most creamy egg-like thing in existence. I sopped up the creamy-egg-goo with my whole wheat gem, and slurped the rest off a spoon. After finishing the meal with a perfectly ripe orange, I decided that this might have been the best breakfast EVER. Lunch: Scalloped Potatoes, String Beans, and Cottage Cheese. The scalloped potatoes were another huge success: the combination of the onions and the milk gave the potatoes an addictive, sweet flavor, and the butter tied everything together. I was literally licking the bottom of my bowl. I would definitely make this again. Hell, I’d take it to a potluck! The beans I simply blanched and salted, and the cottage cheese came from a regular old Breakstone’s container. Dinner: Walnut Roast with Chile Sauce, Mashed Potatoes, Radishes. My second night of making meatless meat was slightly better than the first. I halved this recipe and I used a seasoned bread crumb. It is important to let it sit in the cream and milk for at least 10 minutes. It coagulates into a surprisingly thick goop. When it came out of the oven (40 minutes at 375 degrees) it poofs up on top and looks all brown and yummy. For the chili sauce, I used tomato paste and thinned with a little water in place of “condensed tomatoes.” It was actually good, just a bit strong. I could have thinned it out a little more. Combined with the Walnut Roast…well, it was okay. I ate about half, but it was kind of intense and weird. I don’t think we have a winner yet. The were no cooking suggested in Ms. Cooper’s book for mashed potatoes, so I made them the classic way, with some butter and a shot of cream. Ditto with the radishes. I ate them in the French fashion, smeared with butter and sprinkled with salt. The fat cuts the tart bite of the radish, and it’s very tastey. Walnut Roast. It would be nice to eat a dinner that doesn’t look like kitty catfood barf. On day two, I have to say that these meals are consistently well rounded. Produce plus a starch plus a protein keep me full and give me energy. And my bowels are immaculate!